In the late 1990s, a major controversy broke when I started to critique Wendy Donigerís depictions of Hinduism which most Hindus found vulgar and outright insulting. Some were too embarrassed to face them while many others found it too controversial to go public with their feelings. What started out as my debate with her students quickly turned into public outrage. There were numerous demands for better representation by practicing Hindus in the scholarship about their tradition. Soon after my initial articles, Wendy Donigerís own University of Chicago® Magazine interviewed me and did a large and balanced coverage. It was their leading story. The Doniger camp was shaken up at the vulnerability of this icon of Hindu studies. Things flared up between the Indian diaspora and the American academy for several years, with numerous mobilizations and accusations from both sides. This fight was one of the defining moments in the awakening of Hindu thinkers about the way their discourse was controlled and distorted by others. The academic study of Hinduism has not been the same since. The drama further intensified because with the help of her hordes of powerfully placed students, Doniger fought back. She arranged a front page article in The Washington Post and another feature article in The New York Times. Unlike the balanced treatment by the magazine of her own university, these were PR jobs tilted heavily in her favor. The theater widened across the academic and literary circles of Europe, North America, and India as more players joined in on both sides. Martha Nussbaum, the prominent feminist and University of Chicago colleague of Doniger, wrote a scathing book against Hindus and Hinduism with a whole chapter dedicated to me without bothering to interview me even though that was suggested to her. She and Doniger have consistently ignored my requests for a live debate in public. doorstep for PhDs in Hinduism. blatant in their denigration of Hinduism. and negative perspective as Hinduism is. for those who want to get a good overview. Meanwhile, I moved on to many other projects of research and publishing, pretty much forgetting Wendy Doniger as a closed chapter for my work. But the story does not end here. 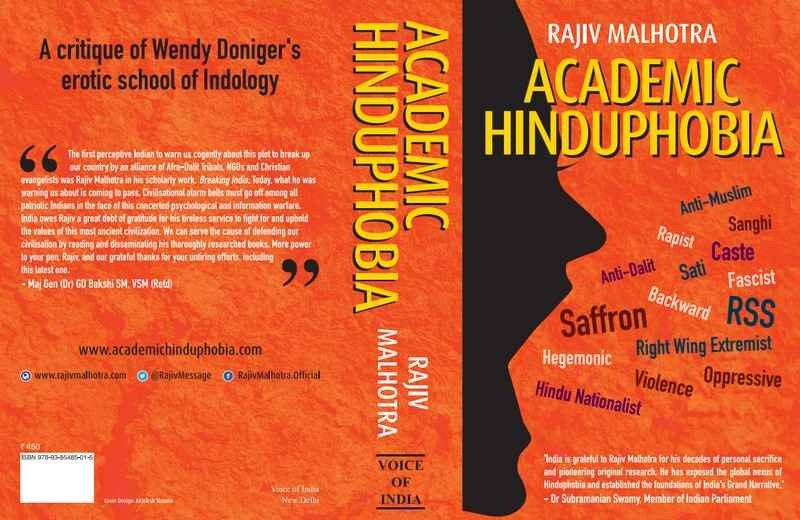 Some years back, Doniger struck a new alliance to help her make a dramatic comeback: She positioned herself with the Indian Left as their “expert on criticizing Hinduism”. Since Indian secularists are uneducated in Sanskrit and are only superficially informed about religious studies, Doniger was a useful ally to supply them “masala” which they could use in their simplistic works. In turn, the well-connected Indian secularist/leftist media and writers helped to reposition Doniger within India as a great authority on Hinduism. Soon she was winning awards in India, even though back home in the U.S. her own academic colleagues had distanced themselves because she was seen as a tainted scholar with a bad reputation. Then another chapter began. Some Hindus in India decided to contest her relatively recent book published by Penguin. They filed a lawsuit in Delhi alleging that it was biased and insulting to Hindus. This sparked a new controversy – this time between Hindus in India and the Doniger/Indian Left alliance. After four years of litigation, an out-of-court settlement was recently reached under which Penguin agreed to withdraw the book from India. But the terms agreed to do not ban electronic copies or foreign editions from being sold in India. Doniger’s massive PR machinery went to work overtime to put the matter in the limelight of world news. The largely ignorant Indian media and its love for sensationalism served her needs. Almost daily there have been extensive TV and major print media discussions in India. In the U.S.A., National Public Radio (NPR), CNN, The New York Times, New Yorker and various other media majors have featured this story in a big way. As a result, her book once again began selling in India even though the Indian edition was withdrawn. It climbed the rankings like none of her works had ever before. She said in an interview that her opponents’ litigation has backfired badly on them. The drama has diverted attention away from the substantive errors in her scholarship to be really about being an issue of censorship by radical Hindus. The bottom line as I see it is this: I have mixed feelings about the effectiveness of the litigation and settlement. My own approach on this matter had been entirely through a scholarly debate. This takes a lot more hard work, rigor, and creativity. Undoubtedly, Doniger and her followers had retreated as a result of my challenges. But now she has made a comeback, ironically using the withdrawal of her book, to position herself as a victim.